Soft and comfy top from ONLY. 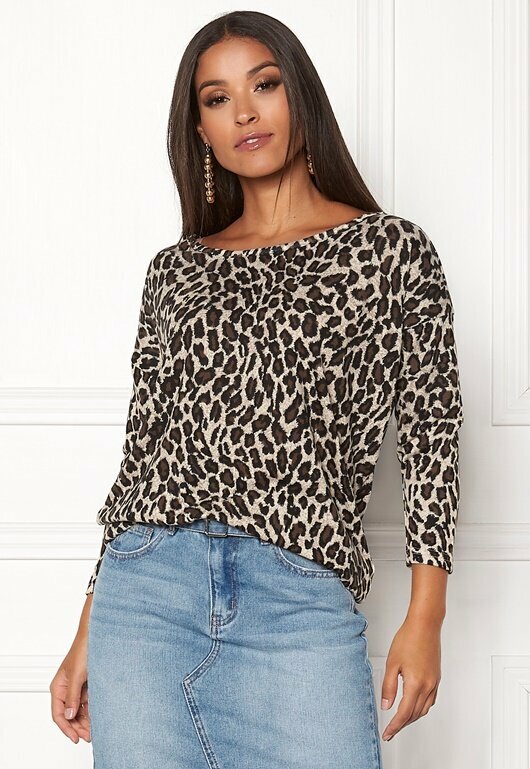 The top has a lovely leopard print and is perfect for everyday wear. - Stretch quality - Boat neck - Longer at back - 4/5 sleeves Back length from shoulder 74 cm in size S. The model is 172 cm tall and wears a size S. Machine wash at 30 degrees.